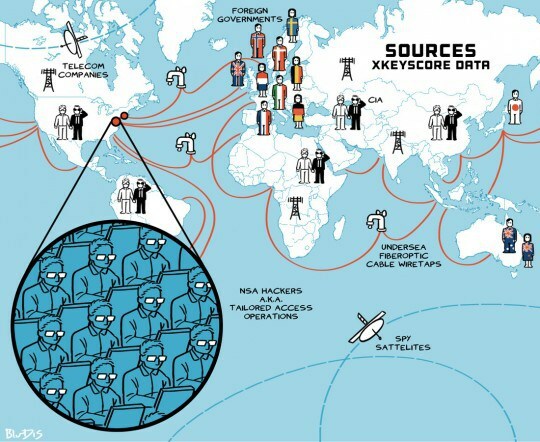 XKEYSCORE is a secret NSA program that indexes data slurped up from covert fiber-taps, hacked systems, and smartphones, including “full take” data and metadata. XKEYSCORE has been known since last July, when Glenn Greenwald disclosed its existence in a blockbuster Guardian article. In a thorough, fascinating followup published in the Intercept, Greenwald and colleagues present a detailed look at the system as it stood in 2013, when it consolidated data from 150 field sites. The service uses your Google cookies and cookies from other services to link your activities across multiple sites and forums, making it possible to search for individual users who use different online identities for different purposes. In its internal documents, the NSA describes how XKEYSCORE is used to spy on world leaders, including the UN General Secretary Ban Ki-moon, whose briefings prior to a meeting with Barack Obama were intercepted and analyzed. A year after President Obama ordered modest changes in how the nationâ€™s intelligence agencies collect and hold data on Americans and foreigners, the administration will announce new rules requiring intelligence analysts to delete private information they may incidentally collect about Americans that has no intelligence purpose, and to delete similar information about foreigners within five years. President Tweaks the Rules on Data Collection – NYTimes.com. First Look Media’s new publication, The Intercept, is live.Â It was created by Glenn Greenwald, Laura Poitras, and Jeremy Scahill. Its short-term mission is to provide a platform to report on the documents previously provided by NSA whistleblower Edward Snowden. to produce fearless, adversarial journalism across a wide range of issues. The editorial independence of our journalists will be guaranteed. They will be encouraged to pursue their passions, cultivate a unique voice, and publish stories without regard to whom they might anger or alienate. We believe the prime value of journalism is its power to impose transparency, and thus accountability, on the most powerful governmental and corporate bodies, and our journalists will be provided the full resources and support required to do this. For more information on First Look Media, watch this video. [First, the bad news], if you’re being personally targeted by a powerful intelligence agency like the NSA, it’s very, very difficult to defend yourself. 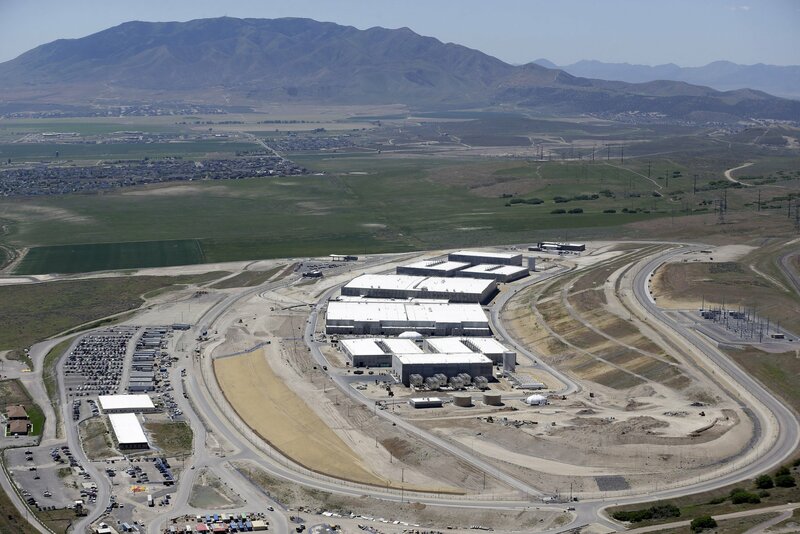 The good news, if you can call it that, is that much of what the NSA is doing is mass surveillance on everybody. With a few small steps, you can make that kind of surveillance a lot more difficult and expensive, both against you individually, and more generally against everyone. Here are ten steps you can take to make your own devices secure. This isn’t a complete list, and it won’t make you completely safe from spying. Encrypt as much communications as you can. Even if you can’t do end-to-end, you can still encrypt a lot of your Internet traffic. If you use EFF’s HTTPS Everywhere browser addon for Chrome or Firefox, you can maximise the amount of web data you protect by forcing websites to encrypt webpages whenever possible. Use a virtual private network (VPN) when you’re on a network you don’t trust, like a cybercafe. Encrypt your hard drive. The latest version of Windows, Macs, iOS and Android all have ways to encrypt your local storage. Turn it on. Without it, anyone with a few minutes physical access to your computer, tablet or smartphone can copy its contents, even if they don’t have your password. Strong passwords, kept safe. Passwords these days have to be ridiculously long to be safe against crackers. That includes the password to email accounts, and passwords to unlock devices, and passwords to web services. If it’s bad to re-use passwords, and bad to use short passwords, how can you remember them all? Use a password manager. Even write down your passwords and keeping them in your wallet is safer than re-using the same short memorable password — at least you’ll know when your wallet is stolen. You can create a memorable strong master password using a random word system like that described at diceware.com. Use Tor. “Tor Stinks”, this slide leaked from GCHQ says. That shows much the intelligence services are worried about it. Tor is an the open source program that protects your anonymity online by shuffling your data through a global network of volunteer servers. If you install and use Tor, you can hide your origins from corporate and mass surveillance. You’ll also be showing that Tor is used by everyone, not just the “terrorists” that GCHQ claims. Turn on two-factor (or two-step) authentication. Google and Gmail has it; Twitter has it; Dropbox has it. Two factor authentication, where you type a password and a regularly changed confirmation number, helps protect you from attacks on web and cloud services. When available, turn it on for the services you use. If it’s not available, tell the company you want it. Don’t click on attachments. The easiest ways to get intrusive malware onto your computer is through your email, or through compromised websites. Browsers are getting better at protecting you from the worst of the web, but files sent by email or downloaded from the Net can still take complete control of your computer. Get your friends to send you information in text; when they send you a file, double-check it’s really from them. Keep software updated, and use anti-virus software. The NSA may be attempting to compromise Internet companies (and we’re still waiting to see whether anti-virus companies deliberately ignore government malware), but on the balance, it’s still better to have the companies trying to fix your software than have attackers be able to exploit old bugs. Keep extra secret information extra secure. Think about the data you have, and take extra steps to encrypt and conceal your most private data. You can use TrueCrypt to separately encrypt a USB flash drive. You might even want to keep your most private data on a cheap netbook, kept offline and only used for the purposes of reading or editing documents. Be an ally. If you understand and care enough to have read this far, we need your help. To really challenge the surveillance state, you need to teach others what you’ve learned, and explain to them why it’s important. Install OTR, Tor and other software for worried colleagues, and teach your friends how to use them. Explain to them the impact of the NSA revelations. Ask them to sign up to Stop Watching Us and other campaigns against bulk spying. Run a Tor node, or hold a cryptoparty. They need to stop watching us; and we need to start making it much harder for them to get away with it. 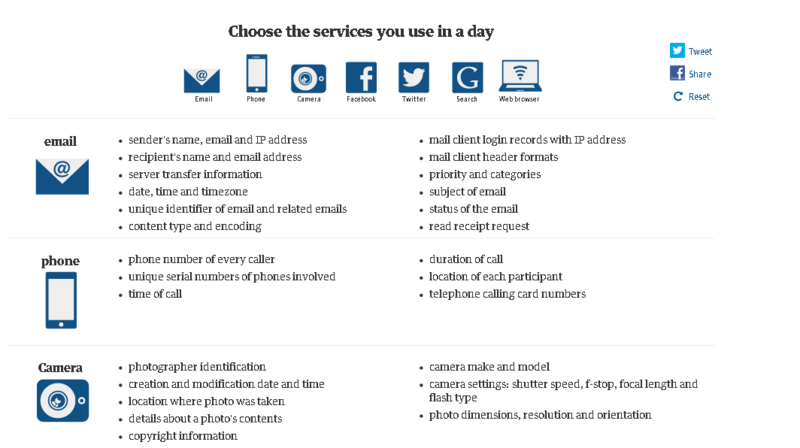 Ten Steps You Can Take Right Now Against Internet Surveillance | Electronic Frontier Foundation. Metadata is information generated as you use technology, and its use has been the subject of controversy since NSA’s secret surveillance program was revealed. Examples include the date and time you called somebody or the location from which you last accessed your email. The data collected generally does not contain personal or content-specific details, but rather transactional information about the user, the device and activities taking place. 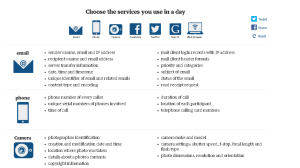 In some cases you can limit the information that is collected â€“ by turning off location services on your cell phone for instance â€“ but many times you cannot. [E]xplore some of the data collected through activities you do every day.